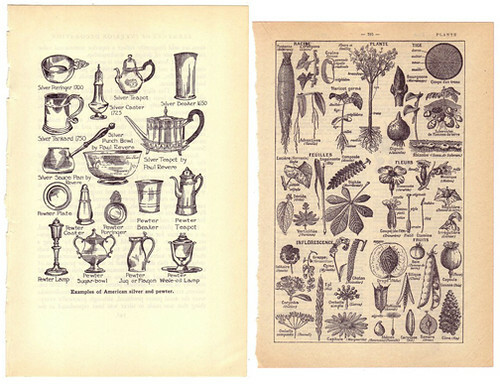 I’ve been coming across more and more etsy shops that are carrying vintage illustrations and paper. I like these two illustrations I spotted last night at sushipotparts.etsy.com. Prices range from $6-$8 each.